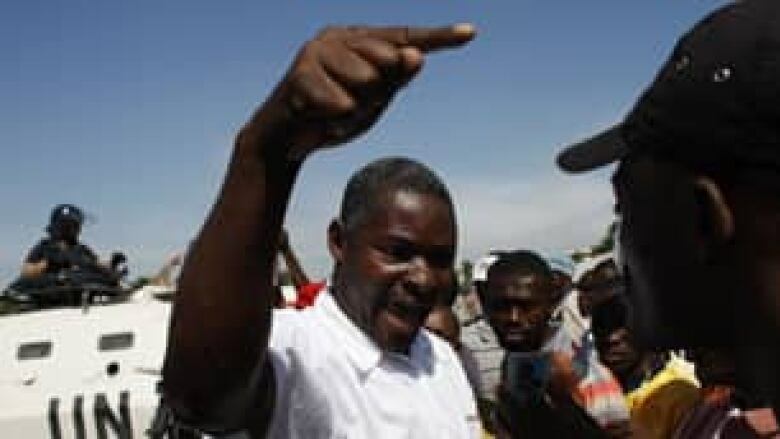 Haiti's immediate future appears unclear after a dozen presidential candidates called for the annulment of Sunday's general election, citing widespread fraud. Michel Joseph Martelly, Mirlande Manigat, Charles-Henri Baker and Jean Henry Ceant were among the candidates who attended an afternoon news conference to denounce what they called "this massive fraud." Stanley Lilavois, 36, a Canadian citizen of Haitian descent, helped his mother vote in Port-au-Prince on Sunday — a relatively "smooth" process, he said. "But the only thing I noticed is there were not [many] people that are going to vote," said Lilavois. He said a number of people were either not on the voter list or were told to go to other polling stations, which in some cases were located in different cities. "So there's been … people arguing about it and not happy about the situation," said Lilavois, a Toronto native, who could not vote because he is Canadian. He also claims representatives of President René Préval approached his father at a polling station and asked him who he was going to vote for. "What I'm worried most about is that between now and tomorrow, the people might get really angry about the situation and start causing chaos." Candidate Anne Marie Josette Bijou read the statement on behalf of the 12 of 18 presidential candidates who signed it. Their statement, read to a cheering crowd, calls for people to take to the streets to peacefully protest against the government and the country's Provisional Electoral Council, known as the CEP. As if in response, thousands spilled onto the streets of the capital Port-au-Prince and Cap-Haitien, the second-largest city, after polls closed. Polls across the country were to officially close by 4 p.m. local time, but there was no way of independently verifying if that was the case. Several thousand Martelly supporters sang and danced, claiming victory despite having no way to verify their convictions, said the CBC's David Common, reporting from Port-au-Prince. Representatives of the major international donors to the election, including the ambassadors of the U.S., Canada, France and the European Union, met after the candidates' declaration to discuss the situation, said Organization of American States Assistant Secretary General Albert Ramdin, who is in Haiti to monitor the elections. "We are all concerned about the possibility of violence because we don't want to see people lose live in a process that should be democratic," Ramdin said. An OAS report on the voting would not be released for several weeks, he said. While there were sporadic incidents of violence, there did not appear to be any major skirmishes or damage to property. However, a ballot box was stolen and its contents strewn about in the capital's Cité Soleil slum. Several marked ballots could be seen on the ground. Many of them were votes for Martelly, said the CBC's Paul Hunter, reporting from Port-au-Prince. Hunter said he had witnessed numerous occasions of electoral fraud. "It was unbelievable. I have never seen anything like it," said Hunter. Should Haiti’s election be annulled? Take our survey. "We saw ballot stuffing. We heard voters who were intimidated into voting for a candidate. And we saw thugs, gangs of thugs, going into polling stations, grabbing stacks of ballots, marking them with the candidate of their choice." That candidate, said Hunter, was Jude Celestin of the INITE party, which was set up by outgoing president Préval, who has completed his two-term limit. Celestin was the only major candidate to not to sign the statement calling for the annulment of the election. There were numerous reports of people being unable to vote. "Some of the people we have spoken with have gone to three, four or five voting stations in order to be able to vote and have been turned away each time," said Nicole Phillips, an attorney for the Institute for Justice and Democracy in Haiti, an advocacy group observing the election. "I can't imagine how these elections can possibly be seen as legitimate, not just what we have seen today, but what we have seen in the past," she said. 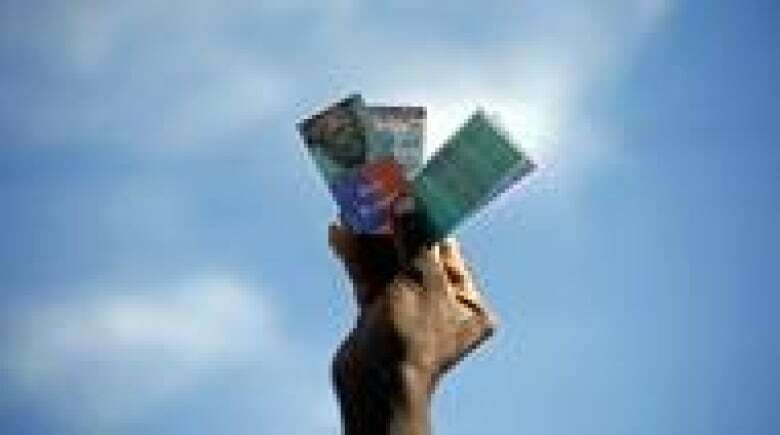 In the days leading up to the elections, many voters tried unsuccessfully to obtain the national identity card that is necessary to cast a ballot. Most polls opened an hour or more after their 6 a.m. start time. Confusion reigned at many of the estimated 11,000 polling stations: Observers from dozens of parties crowded voting areas and furious voters were turned away from stations where poll workers could not find their names on lists. Phillips also said there have been reports of people unable to find their names on the voting lists, only to discover names of deceased acquaintances on official records. About 12,000 United Nations troops and police, plus 9,500 local police, have been deployed to protect polling stations. Voters will select a new parliament, a third of the senate and a new president to replace Préval. The leading candidates for president are thought to be: Martelly, a singer known for his Kompas dance music and on-stage antics; Manigat, a Sorbonne-educated wife of a former president; and Jude Celestin, who has been endorsed by Préval. There are 15 other candidates running for the country's presidency. Preliminary official results will be available Dec. 7, with a final tally on Dec. 20. It is unlikely any candidate will secure the necessary 50 per cent of the vote to avoid a run-off election between the top two contenders, which would take place Jan. 16. More than 1.3 million people remain homeless in the Caribbean country months after the Jan. 12 earthquake that ravaged the country. Many lost their identification in the rubble and some of those killed in the quake are still on registration lists. More than 4.7 million voters are registered. Critics have questioned the wisdom of holding an election while a cholera outbreak spreads through the country. An estimated 1,500 people died in recent weeks due to the outbreak.